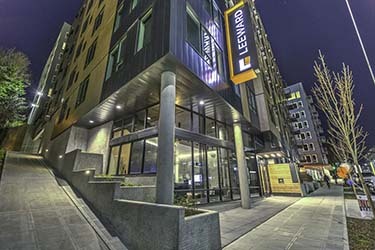 Leeward Apartments is a new 296-unit apartment complex at 1305 Dexter Ave. N. in Seattle’s south Lake Union neighborhood. The studio, and one-and two-bedroom units range from 490 to 1,209 square feet. 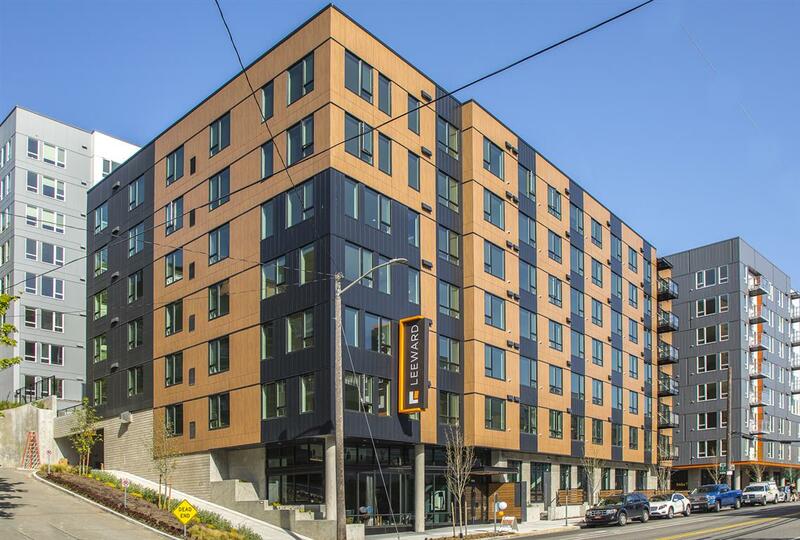 Rents go from $1,850 to $3,800. Finishes include modern cabinetry, tile backsplashes, quartz countertops, stainless steel appliances and wood-style plank flooring. 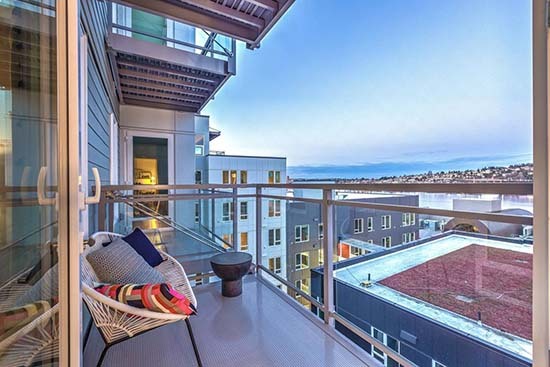 Units have open floorplans, oversized windows and front-loading washers and dryers. Some have patios/balconies and ports for air conditioning. The pet-friendly property has a bark park and pet spa. Controlled-access parking, bicycle storage and e-vehicle charging stations are available. 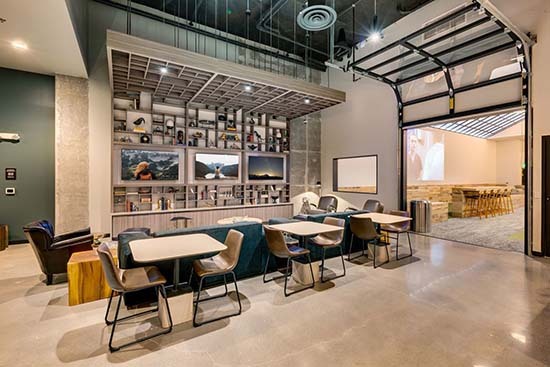 The clubhouse has an arcade, clubroom, game room, yoga studio and fitness center, and the rooftop deck has grilling stations, fireplaces and views.